So I'm going to deter a bit from the usual prettiness and party-ness I typically ramble on about in this blog. It's been a fairly tough week here and I'm feeling reflective about a few things, as that sometimes happens. Mainly that life is incredibly precious. And that anxiety and worry are always there but thinking positively is a better way to be. But I'm also thinking that I'm incredibly blessed with family and friends who listen and don't judge, a husband who puts up with my craziness and all of life's little pleasures. In fact, sometimes it's the little things that make it so enjoyable, and the little things that make up the big things. So here is a list of my current favorite little things. 1) Making lists. I love lists of all kinds. Hence why I'm making this one. Helps me organize my thoughts - which are constantly running amuck. 2) Zoes Kitchen's Homemade Hummus - Holy olive oil that's good. I'd drink it. 3) My BFF Kalle's kids. They are so hilarious; they make me happy just by being in their presence. And her too, of course, for always letting me hang at her house while her kids make me laugh. 4) Picking out a mug for my morning coffee from my growing mug collection. It's getting cray in the mug cabinet. 5) Watching TV with my husband who I am so so happy to have by my side through thick and thin. 6) A satisfying and productive work day. 7) New Girl. This show is hysterically funny and seriously will Nick and Jess just make it happen already? 8) The Oscars and the deluge of criticism and dress coverage that follows in the week afterwards. I enjoy additional ways to procrastinate with fun Internet best and worst dressed lists. 9) The Sunday New York Times and all the thinking it makes me do. Despite the fact it takes me a week to finish it. I'm going to go count my blessings and appreciate the little things for the rest of the week. Thanks for humoring my reflective-ness today. you are on point with the hummus - yum! 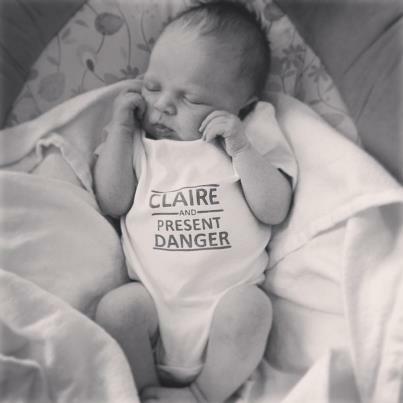 and claire is adorable! What a lovely post! 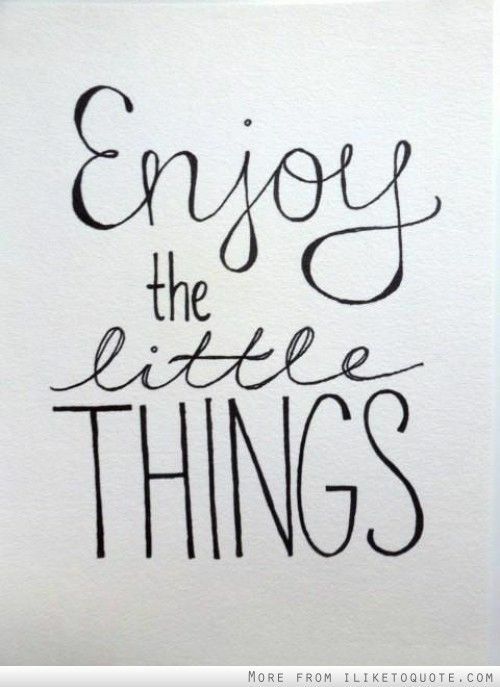 It really is all about the little things that make us happy. And your niece is too cute for words! What a fantastic list. It’s so important to step back sometimes and remember the small things that make life worth living. That onesie is definitely adorable, too! Love the onsie. You are hilarious. Cute niece!! So exciting!